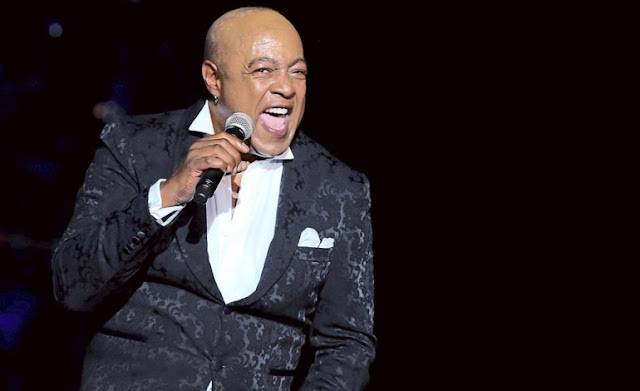 The king of soft-rock ballads Peabo Bryson is coming back to Malaysia again this year, and this time, he will be accompanied by two Grammy award-winning ladies, Deniece Williams and Regina Belle. The 65-year-old soul singer has collaborated with plenty female vocal powerhouses like Minnie Riperton, Natalie Cole, Celine Dion, Deborah Gibson, Roberta Flack and more. Some of his greatest hits include “If Ever You're in My Arms Again”, “Can You Stop the Rain”, “Treat Her Like a Lady”, and of course, his Grammy award-winning duet songs with Celine Dion and Regina Belle for the soundtrack of “Beauty and the Beast” and “Aladdin”, respectively. So this year, with the inclusive of Regina Belle in his upcoming visit, Malaysian fans are in for a treat, as they will be able to listen to the live modern duet of “A Whole New World”! And that’s not all, Deniece Williams, who is another big name that ruled the airwaves in the 70s and 80s, will also perform on stage together with Bryson. 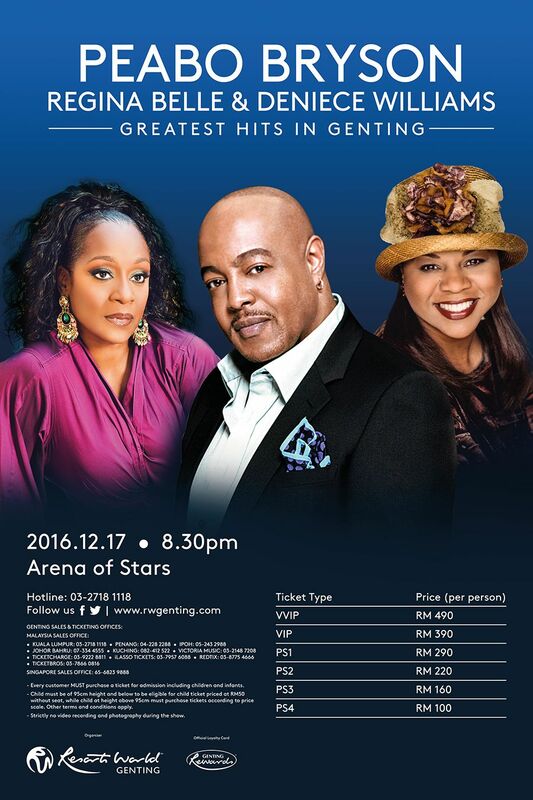 Re-live the romance once again with this famous trio at Arena of Stars, Genting Highlands on 17 December 2016, as they reignite the flames of love on stage! Ticket prices range from RM104 to RM494, and can be purchased at ticketcharge.com.my.